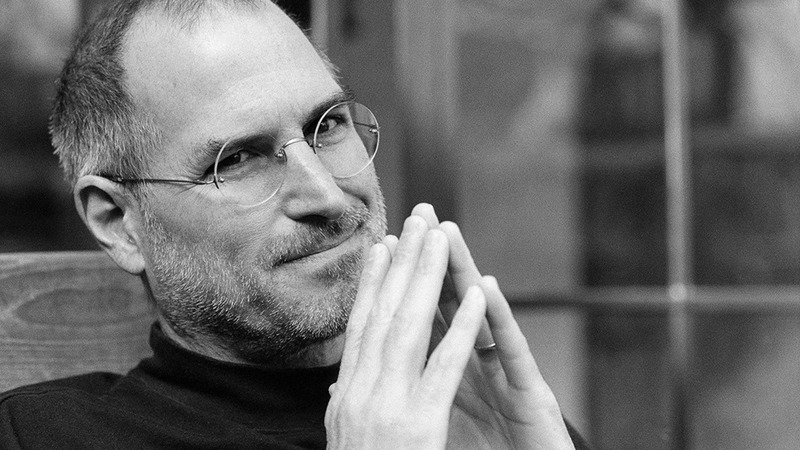 There’s a post wandering round the internet and social media that’s purportedly from Steve Jobs. I won’t bother to reprint the whole thing, but in amongst its off the shelf self help words about the need to “Treasure Love for your family, love for your spouse, love for your friends” and “Love can travel a thousand miles. Life has no limit. Go where you want to go. Reach the height you want to reach. It is all in your heart and in your hands” lies a deep dark poison. Before I start, I don’t know Steve Jobs. Never met the guy. I have a lot of respect for his speech to the University in Stanford which contains some real insights into modern life, business and the pursuit of a dream. Your time is limited, so don’t waste it living someone else’s life. Don’t be trapped by dogma – which is living with the results of other people’s thinking. Don’t let the noise of others’ opinions drown out your own inner voice. And, most important, have the courage to follow your heart and intuition. They somehow already know what you truly want to become. Everything else is secondary. That’s the sort of vision that I’d like Steve to be remembered for. I have a lot of respect for his achievement. Although I don’t own any Apple technology. Because I don’t like it much. So I’m not a huge fan of Apple. But I am a huge fan of people following their dreams. And Steve did. And this latest post, which seems to indicate that Steve rejected what he achieved in life, rings false to me, and with it trickles a steady stream of new age poison into our lives and our beliefs. Steve was a man with a vision. Not a vision to be wealthy, as such, but a vision to create. To create a working personal computer. To create a computing world that was elegant and beautiful. To create a computing world where things worked together. To create devices that were intuitive, effective, efficient and enjoyable to use. And he created that. In his time with Pixar he helped create the computer animated feature, and paved the way for new stories to be told. I don’t see any way that Steve Jobs saw his life as a failure, or that it had turned him into “a twisted being”. Steve was a Zen Buddhist, deeply at peace with ‘what is’. The fake deathbed quote talks about how he was surrounded by life support (he wasn’t, he died at home), and that he had “little joy”. As far as I can see it, Steve followed his dream, his vision, and his heart. For sure, he had feet of clay. He had his weaknesses. There were times when he wasn’t an easy boss. But then anyone with a vision is going to concentrate on pursuing that vision. I agree with pieces of the post. All you can have at the end of life are “the memories precipitated by Love”. Those are “the true riches which will follow you, accompany you, giving you strength and light to go on.” Although perhaps the things that you do, or your heirs do, with your material inheritance also goes on. Perhaps your achievements remain behind, inspiring others to achieve as you achieved. I wanted my kids to know me. I wasn’t always there for them, and I wanted them to know why and to understand what I did. So let’s not succumb to the poison that says that you should shun success, that it will make you unhappy. Following our hearts, and our dreams, and our vision – while coming from a place of love and peace and kindness – can only make the world a better place. And that’s what Steve would want you to hear. Beware of Tuesdays. And October. Author Matt Haig spent most of his twenties in the grip of severe and debilitating depression. 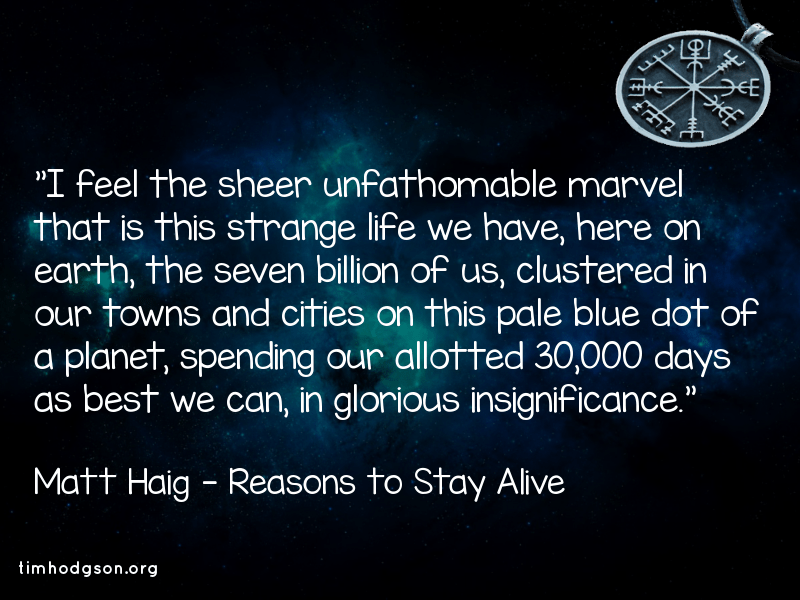 He shares his experience in his fabulous book ‘Reasons to Stay Alive’. It’s a powerful work giving a real insight into what depression really feels like – neither descending into self absorption nor trivialising the blackness and despair. And even those of us who have been fortunate enough never to live in a world where even hope is missing – well, we will learn how to face the darkness too. Towards the end of the book Matt shares his advice on how to live – “forty pieces of advice I feel to be helpful but which I don’t always follow”. Set your heart free . . .
Here’s a wonderful extract from one of my very favourite authors, Martha Beck. I couldn’t help comparing Sonya’s comments with another conversation I’d had when I was in Cambodia, doing interviews for a World Bank project. A vibrant man I’ll call Khet told me about his experiences during the war-torn 1970s, when he’d been imprisoned, starved and sentenced to death. And an opportunity did come. As he and some other prisoners were being led to the execution ground, Khet bolted, running for a weak spot in the wire fences. He fully expected to be shot, but the other prisoners distracted the guards enough to spoil their aim. Khet escaped into the jungle. Most people think more like Sonya than like Khet. My clients routinely tell me they’re deadlocked, hemmed in, blocked, controlled by circumstance. If you feel that way, it isn’t because you don’t have the option of charting an exciting, meaningful journey through life. Trust me, the options are there. You’re at an impasse because you’ve been trained not to seize-or even recognize-the opportunities that lead to the fulfillment of your dreams. Your body is free but your heart is in prison. Our hearts are imprisoned for just one reason: The only language they can speak is truth. Unlike the mind, which can be persuaded to accept the most bizarre ideas (“Look, it’s the Hale-Bopp comet! Time to kill yourself! ), your heart tells it like it is, without bothering to be tactful or socially appropriate. Free hearts rock boats, break rules, do things that disrupt the system-whether that system is a dysfunctional family, a bloated bureaucracy, or the whole wide world. As a result, few of us speak the truth out loud. All our lives we’ve been hearing things like: What you are thinking/feeling/saying/becoming, etc., is stupid/rude/scandalous/sinful/depressing/ridiculous/unoriginal, etc. All the infinite variations on this theme convey just one message: Silence your heart or you will be rejected. Rejection hurts our little social-mammal hearts so much that just the threat of it convinces most of us to cooperate with our enemies. This is a two-step process: First we go dumb, learning never to speak our deepest truths. Then we go deaf, refusing to hear our own souls. Sonya was a fully heart-bound when she came to see me. For thirty-some years, her life’s journey had been steered by social expectation, slowed by fear, stymied by conflicting demands. Bad news: If you’re a normal human, you probably act like Sonya at least some of the time. Good news: As your own jailer, you-and only you-can free your heart whenever you want. To release your heart, you simply reverse the two-step process by which you locked it up. First you begin to listen for messages from your heart-messages you may have been ignoring since childhood. Next you must take the daring, risky step of expressing your heart in the outside world. It’s lucky this process is so simple, because it’s also terrifying. People with captive hearts often spend years thinking very hard about things like reawakening their passion or discovering their destiny. This never works, because such information is stored in the heart, not the brain, and is expressed by feelings, not thoughts.Sonya was so numb to her emotions that she couldn’t tell a surge of love or pathos from, say, gas. Not to worry. Paying attention to any feeling unlocks your heart, and if subtle emotional nuance eludes you, physical sensations will do nicely. Try the exercise I assigned Sonya: Write a detailed description of everything you’re feeling in your body. If you do this for more than ten minutes, you’ll find that you’ve also started describing your emotions. As Sonya began to write about her chronic exhaustion and headaches, a torrent of truth burst from her heart into her conscious mind. “I hate the socialite scene,” she found herself writing. “I want solitude. I need music.” For years her heart had been trying to send these messages through physical symptoms. As she began to listen, those symptoms faded. Sonya’s prison walls were coming down. Once you begin listening to your heart, I guarantee it’s going to say some things that shock you-otherwise, you wouldn’t have locked it away in the first place. You may discover that your heart wants to spend your paycheck on flowers or wear purple spandex to a board meeting. You don’t have to act on these impulses, but you must not judge or repress them. Treat your heart like a tired, hurt child: Accept its tantrums, revenge fantasies, and pity parties, but don’t get stuck in them. Say kind things to yourself: “It’s okay that you love your goldfish more than your in-laws” or “Of course you want to stab Billy’s third-grade teacher with a meat fork-all the moms do.” When you acknowledge your forbidden feelings calmly, you’ll find that you actually have more control over your actions. It’s when feelings are repressed that they burst out in dangerous, unhealthy ways. The more you tune in, the deeper the truths your heart will tell and the more intense your emotions will become. You may feel great pain about times others have hurt you-and, worse, times you have hurt others. But as this pain flows through you and begins to dissipate, you’ll find something beneath it, something astonishingly powerful, something one philosopher called the “all-pervading radiant beauty” of your heart of hearts. At this point you’ll begin to realize that your heart is telling you where to steer your life. You’ll know the next step because you will begin to long for anything that connects you to it. When desire really comes from your heart, deciding to act on it will bring another strong sensation. You’ll feel an extraordinary clarity, the sense that something inside you has clicked into place. Of course, your Inner Jailer might not agree. You may be flooded with reminders that your heart’s instructions are stupid or boring or rude. Don’t listen. Run. I’ll never forget the moment Sonya stopped daydreaming about sending her songs to a music producer and decided to Just Do It. It doesn’t sound like much-until you try it yourself. Acting on your heart’s instructions means abandoning all those careful strategies for avoiding rejection and bolting toward the fertile, gorgeous jungle of human imagination and possibility. 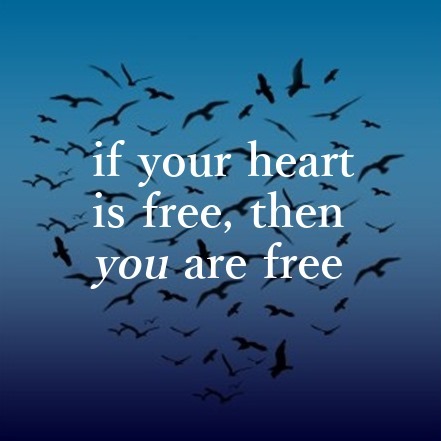 I’ve watched in awe and admiration as many clients took the enormous risk of freeing and following their hearts. I’ve seen high-income executives joyfully switch to low-paying careers as artists or forest rangers, and people who grew up in poverty dare to believe they deserve decent money. I’ve seen folks adopt children with AIDS or lose 50 pounds. As a 13th-century Zen master said, “The place is here: The way leads everywhere.” Once you are present in your own heart, you’ll find your life going places your mind has never even dreamed of. Toni Morrison said that “the function of freedom is to free someone else.” This is the final step necessary for keeping your heart at liberty, and you do it in just one way: by telling your story. However you do it-a journal, an artistic creation, the pictures you hang on your walls, or the way you raise your children-telling your story demolishes the barriers between your heart and the outside world. I won’t lie: This means that your heart will be exposed and, yes, broken. But it’s important to remember that a heart is imprisoned not by being broken but by being silenced. There will be people (often the people you most want to please) who won’t like what you say. It’s going to hurt-and it’s going to heal. I’ve published this before, but I think it’s worth retelling . . . In Brooklyn, New York, Chush is a school that caters to learning-disabled children of Orthodox Hasidic Jews. Some children remain in Chush for their entire school career, while others can be mainstreamed into conventional schools. At a Chush fundraising dinner, the father of a Chush child delivered a speech that would never be forgotten by all who attended. After extolling the school and its dedicated staff, he cried out, “Where is the perfection in my son Shaya? Everything God does is done with perfection. But my child cannot understand things as other children do. My child cannot remember facts and figures as other children do. Where is God’s perfection?” The audience was shocked by the question, pained by the father’s anguish and stilled by the piercing query. “I believe,” the father answered, “that when God brings a child like this into the world, the perfection that he seeks is in the way people react to this child.” He then told the following story about his son Shaya. Shaya’s father was ecstatic as Shaya smiled broadly. Shaya was told to put on a glove and go out to play short center field. In the bottom of the eighth inning, Shaya’s team scored a few runs but was still behind by three. In the bottom of the ninth inning, Shaya’s team scored again and now with two outs and the bases loaded, with the potential winning run on base, Shaya was scheduled to be up. Would the team actually let Shaya bat at this juncture and give away their chance to win the game? Surprisingly, Shaya was given the bat. Everyone knew that it was all but impossible because Shaya didn’t even know-how to hold the bat properly, let alone hit with it. However as Shaya stepped up to the plate, the pitcher moved a few steps to lob the ball in softly so Shaya should at least be able to make contact. The first pitch came in and Shaya swung clumsily and missed. One of Shaya’s teammates came up to Shaya and together they held the bat and faced the pitcher waiting for the next pitch. The pitcher again took a few steps forward to toss the ball softly toward Shaya. As the pitch came in, Shaya and his teammate swung at the bat and together they hit a slow ground ball to the pitcher. The pitcher picked up the soft grounder and could easily have thrown the ball to the first baseman. Shaya would have been out and that would have ended the game. Instead, the pitcher took the ball and threw it on a high arc to right field, far beyond reach of the first baseman. Everyone started yelling, “Shaya, run to first. Run to first.” Never in his life had Shaya run to first. He scampered down the baseline wide-eyed and startled. By the time he reached first base, the right fielder had the ball. He could have thrown the ball to the second baseman who would tag out Shaya, who was still running. But the right-fielder understood what the pitcher’s intentions were, so he threw the ball high and far over the third baseman’s head. Everyone yelled, “Run to second, run to second.” Shaya ran towards second base as the runners ahead of him deliriously circled the bases towards home. As Shaya reached second base, the opposing shortstop ran to him, turned him in the direction of third base and shouted, “Run to third. As Shaya rounded third, the boys from both teams ran behind him screaming, “Shaya run home.” Shaya ran home, stepped on home plate and all 18 boys lifted him on their shoulders and made him the hero, as he had just hit a “grand slam” and won the game for his team. Story retold by Rabbi Paysach Krohn and Dr Wayne Dyer, amongst others. . . . Think on happiness . .
A man who has been hugely influential in my view of the Universe passed on to the next phase of his beingness this week. 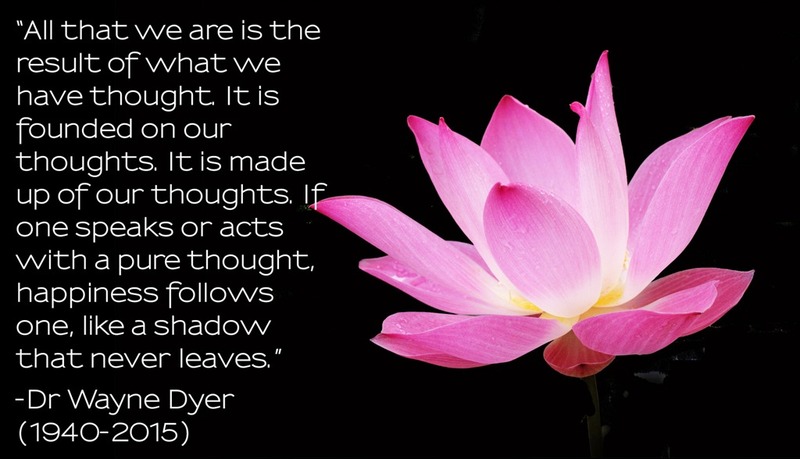 Wayne Dyer was an incredible author, teacher and leader. His book “The Power of Intention” has been on my bookshelves for many years, and recently I have been exploring many more of his writings. I don’t agree with everything he’s said, and I struggle hugely with his preferred meditation techniques. but I hugely respect him and his legacy, his contribution to my understanding of the power of personal creation, and he fuelled a new interest for me in Taoism and Zen. You can find more at http://www.drwaynedyer.com/ and it’s worth while downloading the audio “101 ways to Transform Your Life” from there.